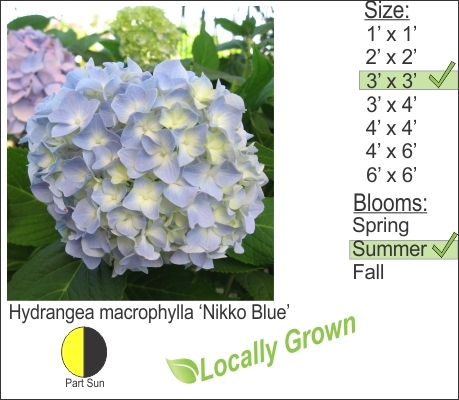 Niko Blue Hydrangea is an excellent choice for big beautiful blooms. This hydrangea does well in moderately acidic soils. When planting you should introduce good organics into the soil like Canadian sphagnum peat moss.